When our Third Graders “graduate” to The Epiphany Upper School, they enter a world filled with new challenges and change. 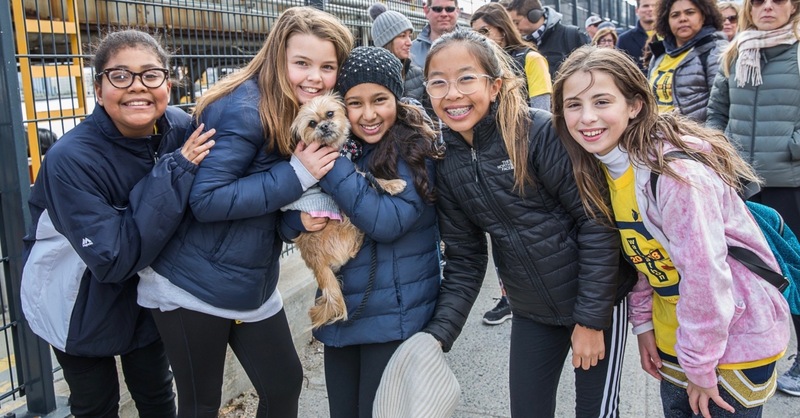 Comprised of students in Grades 4-8, the Upper School is organized to not only bridge the gap from the self-contained classrooms of the Lower School but, more importantly, to nurture the students on their journey from childhood to adolescence. Our students are encouraged to develop a sense of their strengths as they learn new material and master new intellectual, social, and physical skills. 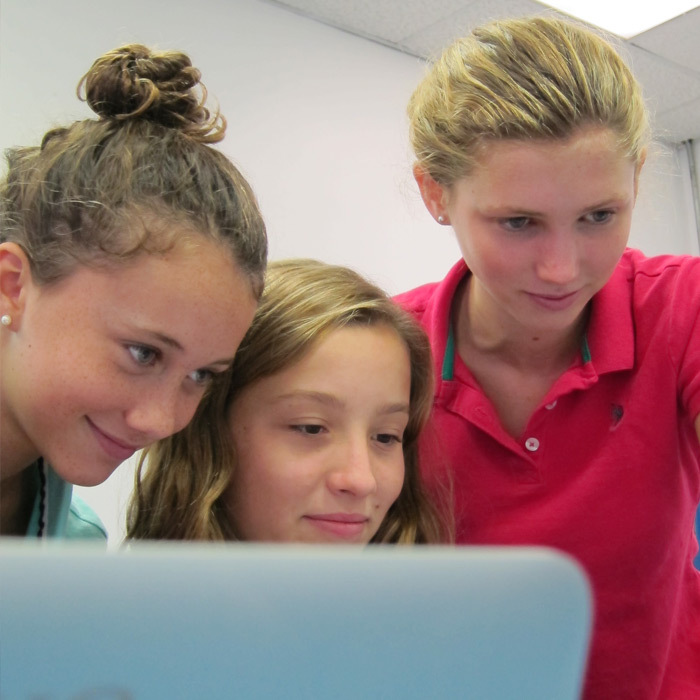 The Upper School offers students more teachers, more choices, and more responsibility. There is a progression of growing responsibility and independence. The curriculum is designed to match the spiritual, cognitive, emotional, and physical changes of the emerging adolescent. 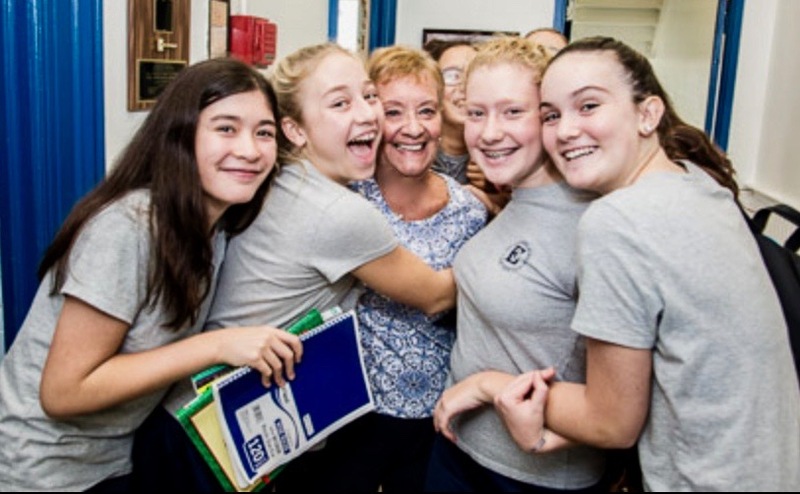 The Epiphany School follows the New York State Learning Standards and Core Curriculum for all grades as well as the Archdiocese of New York Essential Learnings. Our teachers and administration use these standards to develop a curriculum that meets the needs of our students. Natural curiosity and self directed learning are encouraged. Technology is incorporated into the curriculum to support and extend learning. Students attend ten 30-minute classes daily, with double periods for ELA, Mathematics, and Science Labs. In our Religion curriculum, we incorporate the basic doctrines of Catholicism, focusing on the principles and doctrine upon which our Catholic faith is founded, and the integration of these principles and doctrine in our daily lives. School and class masses, along with prayer services and church related activities, are a regular component of the total Epiphany School experience. The text for this curriculum is Walking by Faith. Grade 8 – Church History & Morality. As our students mature and develop their relationships with God, we encourage students to share their faith with each other. This provides opportunity for our non-Catholic students to share their beliefs with classmates, leading to discussion, and the realization that we are all God’s people. Guided by the belief that a child learns more about himself or herself in the world through experience, the English Language Arts Program is integrated with other disciplines. Literature is studied not solely for appreciation of an author’s intent or style but also as a window into the culture, values, and advances of specific periods in history. Students are introduced to the works of great writers and the study of the major literary forms, including plays, short stories and poetry. Students respond to the readings with written analyses and are guided through a process in which tangible writing, proofreading and editing skills are emphasized. Grammar and vocabulary lessons are incorporated into the analysis of text to provide students with a deeper understanding of the nuances of the English language. The Mathematics Program seeks to provide students with proficiency in the basic tools for learning and using mathematics: calculation, reading, and analysis in particular. Computational skills, concepts, and applications are also introduced, reinforced, and extended through the use of a cyclical design. Problem-solving strategies and applications are formulated and expanded. Students are encouraged to work in groups, devise strategies, test methodologies, evaluate results and revise plans of action. Mathematics classes in the Upper School all have co-teachers, providing more opportunities for students to engage with a Math teacher. This allows for more individualized attention and both remediation and acceleration. Students entering eighth grade may be recommended for an accelerated math sequence – Math 9 – a rigorous high school level Algebra-based course. Understanding of why events occur, not just the who, what, where and how. Appreciation of themselves as a reflection of their culture, place, and time. Knowledge of historical periods and their meaning based on inquiry and analysis. Value of research and evaluation to proving the reliability of facts and other information. Respect for their fellow humans, appreciating diversity and acknowledging that we are all God’s creations. The Science Program integrates the three branches of science – life science, physical science, and earth science. Students learn best when actively involved, so an emphasis is put on investigations and demonstrations that help students to sharpen their observation, processing, problem-solving and critical-thinking skills. Science classes meet in both the Science Lab and the Environmental Center, where a variety of hands-on activities encourage a dynamic learning experience. Since science is constantly evolving, students are encouraged to reach beyond their textbooks and use the Internet to stay as current as possible. For context, they are given concrete guidance in understanding their research and the reliability of outside resources. The Modern Language Program is designed to aid our students in effectively acquiring a foreign language – with Spanish as the priority. They learn communication skills through simple material in visual contexts. Topic-based lessons dealing with functional situations are designed to develop proficiency in listening, reading, writing, and speaking. Hispanic culture and geography are incorporated where appropriate. Upon completion of the program, students should have gained a solid foundation with which to continue their language studies. Grade 4 – Introductory overview of Spanish vocabulary and grammar. Grade 5 – Spanish is Fun (Book A). Grade 6–8 – Spanish is Fun (Book 1), Cuaderno de Ejercicios (Libro 1), Realidad y Fantasía (short stories), and other Spanish stories. Students in Grades 4–8 take Art, Music, and Physical Education classes each week. The Art Program allows students to express themselves aesthetically while exploring different mediums. They are instructed in basic skills and given an appreciation for style and composition. They spend most of their time working on independent projects and solutions even though they work with the same materials and instructions as other students. They also create their own Power Point slide presentations. Their work decorates both Epiphany campuses and is on view to the public during the annual Art Show. The Music Program gives students the opportunity to read music and perform before their classmates as well as larger audiences. The curriculum includes composition and music theory. Students study both traditional and contemporary music and are encouraged to use their musical talents during liturgical services, concerts and events. The Physical Education Program raises a students’ awareness of their personal fitness. They are encouraged to take good care of their bodies and use them properly. Cooperation and respect are an integral part of the program and good sportsmanship is expected at all times. As part of Physical Education, the school has an active program of intramural and competitive sports teams in basketball, track, rugby and soccer. Our state-of-the-art Digital Learning resources provide students with the tools for applying technology on various levels throughout the academic day. Grades 6-8 take a rigorous writing course in which they use advanced word processing to prepare drafts and correct final copies of their assignments. Use of the Internet’s vast wealth of information is continually integrated into all courses as a rich source of supplemental knowledge and learning. Epiphany Upper School students each receive a school iPad and have daily access to computer labs outfitted with MacBooks. There are interactive RealTouch Displays in all classrooms. With a variety of platforms to choose from, students are able to select what works best for them. Our students are encouraged to think critically about how to best solve a problem, communicate information, and collaborate with their fellow students. Rather than eliminating other teaching tools such as textbooks, technology has expanded the menu teachers can choose from, enabling different forms of collaboration in the classroom and beyond, and motivating students in new ways. Homework is assigned nightly Grades 4–8. Students are responsible for their own assignments. Each teacher explains homework expectations during the Class Meetings in September. Students in Grades 4–5 meet in their homerooms by 8:30 a.m. Grades 6–8 students are expected to arrive no later than 8:15 a.m. and assemble in the Upper School cafeteria. There is a free Early Drop-Off program that starts at 8:00 a.m. in the cafeteria, breakfast is provided. For families with students in both the Lower and Upper Schools a supervised walk for Upper School students between the Lower School and the Upper School is available. At arrival the “Walk” to the Upper School departs from the Lower School main entrance at 8:00 a.m. each school day. At dismissal the “Walk” leaves the Upper School Gym at 2:55 p.m. each school day. Please notify your child’s homeroom teacher if your family is going to utilize the Walk. Ms. Deidre Barry, 8th Grade teacher, with her students.